This is a very rewarding book, a story of a family going through a challenging time, with the eldest daughter being released from prison, bringing all sorts of undercurrents to the surface of this typically middle class family. JoJo was convicted of fraudulently handling some antique windows, while working in New York. Her family in England coped with this in various ways, but the greatest impact was on her parents. Her father went into denial and during her two year incarceration was unable to bring himself to visit her in jail, leaving her mother to go by herself. When the time comes for her release, JoJo's brother goes across to meet her at the prison and to take her through a few days of acclimatisation during which he keeps in touch with the other family members by telephone as they anticipate the reunion a the family home in Cornwall. I liked this one a lot. Very insightful and thought-provoking. However "funny" is not a word I would use about this book. My very first bookring and intentionally short. Rules: please endeavour to keep for no more than 4 weeks. When done PM the next person on the list. ...back to me ,,, and back it came - wonderful! Sending to jazz-ee2 in the UK. Received this book in the post yesterday - thanks LastEdition! This arrived in the post for me today from jazz-ee2 with a much needed PG tips teabag. will read and then return to Lastedition. Thanks! "please note that mirp in Ireland is next in line before it (hopefully) comes back to me." What a fab book! Thought provoking and beautifully written. I think it really deals with the complexities of family life: the favoured eldest child, the child who copes and manages everyone else, the youngest rebel. And of course the parents.... There's some marvellous bits in it about the work women do, why they care, worry, do the church flowers etc etc. I liked the way each character seemlessly took over the narration of the story. I think it was less about the return of JuJu (the prodigal eldest) and more about the redemptive journeys of all the family. Wonderful! received today. really looking forward to reading it. it looks fab! I found this book hard to get into. I really struggled with all the descriptive passages about the Tiffany Windows in the beginning of the book. But, after I got into it, I really enjoyed it. You could identify with each character. Being the eldest child in my family, I can kinda understand the type of relationship Juliet had with her father. I could also identify with Charlie, being the reliable, responsible one. Having depression has made me different in my family, I kinda don't fit in, a bit like Sophie. So, while the auther has made each character different, he also leaves a thread of familiarity with them all. Thanks for including me in this ring. I'm glad I read this book. It's now on it's way back to LastEdition. Posted it yesterday. Sorry about the delay. This has come home again ... thank you everyone for the interesting reviews and for being prompt in passing it on! Starting a new bookring with this one. 4 weeks reading time and then please PM the next in line for address and mail it! back to me ... and here it is! Arrived today as part of a Bookring with thanks to LastEdition for giving me the chance to read this. It is on my Wishlist becuase it is a Richard and Judy recommended read and I am looking forward to starting it as soon as I can. Just need a few more days to finish my current book. There is a lovely Strawberry Bookmark enclosed which I will use and then share by sending on with the book. Update 30.04.06 Currently reading and up to Chapter 10 already, really enjoying. This is a family novel of an apparently ordinary English family. In the course of telling the story of the five members of the family, which starts on the day the favourite daughter Juliet is released from jail, we get a intimate and moving picture of the Judds. It is very subtle and moving, well worth reading. When I have heard from turbobarge I will be sending it on. Arrived today- thanks Lastedition and LindyLouMac. I have nearly finished my current book- will read this after another bookring I have. Shouldn't be a problem getting it out within a month. I really enjoyed this book- The story of the Judds' rebuilding of their lives after Juliet's release from prison. 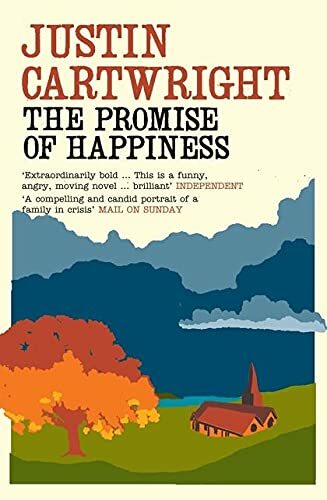 The family dynamic was really interesting to observe and I think that Cartwright has captured it well. The parents who seem to be together out of duty and a sense of their role, but you can feel their longing to be off somewhere else, with someone else. They all seem to be held together by their love for Juliet. It is a strange, compelling kind of love- they are all spellbound by her and orbit her by something like gravity. The relationship with Charlie I thought was most interesting. He always wanted to end up with someone like Juliet, but instead is marrying her opposite, the glamour-puss Ana. I feel sad for Charlie. The example of love of Juliet that he has grown up with is overshadowing everything else. This book has come home to roost once again. I have enjoyed reading your journals and am glad to see that you all liked it - which all makes for a good ring. Thank you everyone for being such good members of this ring!